Enjoy a five-course meal created by five outstanding female chefs! Each course will be paired with a delicious wine sample. 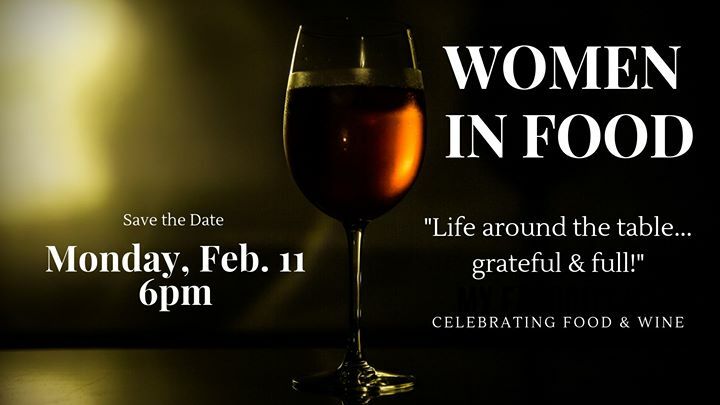 Join us as we celebrate food & wine on Monday, February 11 at 6pm. Cost is $75/person. Reservations required.